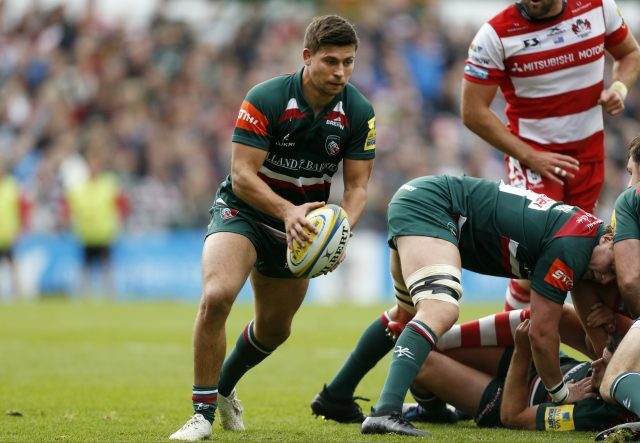 Ben Youngs scored two early tries for the Tigers. 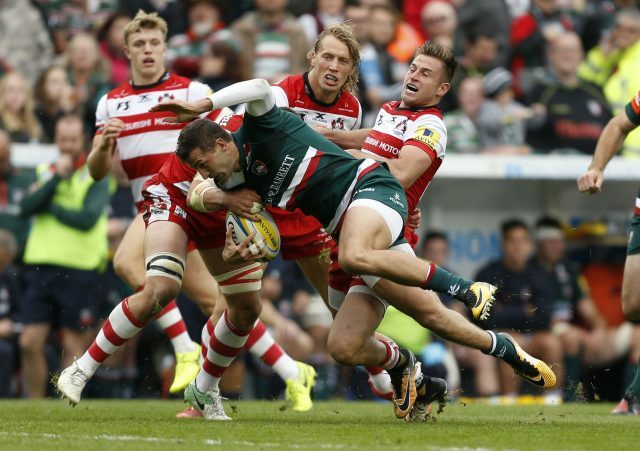 Leicester claimed a first Aviva Premiership victory of the season after a dominant opening 40 minutes sunk Gloucester at Welford Road. The Tigers had never lost their opening three games of a Premiership campaign, but England scrum-half Ben Youngs’ early try double and a Nick Malouf touchdown left Gloucester reeling, while George Ford kicked nine points. The west-country club rallied after half-time as prop Josh Hohneck powered over for a try that Billy Twelvetrees converted, and he also kicked a penalty, yet Leicester were good value for the 24-10 win. After coming unstuck against Bath and Northampton, Tigers knew they had to get their league campaign off and running, but after leading 21-0 early in the second quarter, their failure to collect a bonus point will frustrate them. Gloucester, though, once again delivered a curate’s egg performance, with their opening night victory over champions Exeter being followed by losses to Harlequins and Tigers. They had their moments in attack, but too often they squandered quality possession through poor handling or wrong option-taking, leaving new head coach Johan Ackermann with plenty to work on. Gloucester made a late change, with fly-half Billy Burns missing out due to a knee injury, so former Leicester player Twelvetrees moved from centre and Henry Trinder partnered Matt Scott in midfield. Leicester, meanwhile, fielded a rookie second-trow pairing of Harry Wells and Joe Maksymiw as replacements for injured pair Dom Barrow and Graham Kitchener as Tigers looked to climb from 11th place in the Premiership table. And the Tigers made a powerful start, exerting pressure on Gloucester through some powerful close-range running led by England prop Ellis Genge, and the visitors’ resistance lasted just nine minutes. Leicester were awarded a penalty deep inside Gloucester’s 22, and they caught their opponents napping by sacrificing an easy kick to the posts as Youngs tapped and ran to touch down unopposed. Ford added the conversion, and Leicester wasted little time re-establishing an attacking foothold, from which Youngs claimed a second try after the Tigers forwards drove a lineout, with Ford again converting. Even when Gloucester had the ball, they could not hold on to it for long enough periods, and Leicester added their third try when full-back Telusa Veainu ran from deep, and Australia sevens international Malouf finished impressively. Another Ford conversion took Leicester 21 points clear in as many minutes, and although they could not add to their points tally before half-time, Tigers could reflect on a strong opening 40 minutes that also saw their opponents concede 11 penalties. Tigers centre Matt Toomua did not return for the second period after failing a head injury assessment, and Gloucester opened their account within two minutes of the restart when scrum-half Willi Heinz and wing Charlie Sharples combined to send Hohneck over. Twelvetrees added the conversion and then kicked a penalty following a Tigers high tackle as Gloucester continued to fight back impressively, capitalising on a collectiver Leicester switch-off as the game began to open up. Ford’s 64th-minute penalty restored a 14-point advantage for Leicester, and there was no way back for Gloucester after that as the Tigers huffed and puffed in pursuit of a five-point maximum that ultimately eluded them.